← Wednesday’s Word: Good Heavens! If you have a goal, a dream, a vision of what you’d like to do before you leave this earth, I sure hope you watched the Seattle Seahawks defeat the Green Bay Packers in epic fashion last Sunday. Quarterback Russell Wilson and the rest of the team didn’t let a miserable, wet, discouraging game destroy their hopes for victory. They kept trying to find a way to win, and in the last few minutes of the game (plus a few minutes in overtime), they did just that. In the days leading up to the game, they kept talking about focusing on fundamentals, and during the game they relied on that training and on each other, even when it looked bleak. They also added a dash of personality; can you watch Marshawn Lynch move the ball down field–along with half the opposing team trying to stop him– without getting a big smile on your face? He can push against a tidal wave or wiggle through the impossible just by sheer willpower. Writers’ groups often talk about these same things: learn the fundamentals of the craft, support each other, and add your own voice–your own personality to your work. 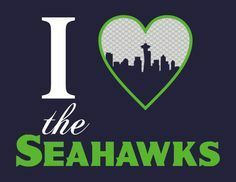 All these things are important, but I think the Seahawks are on to something even more inspirational. Where was Russell Wilson when the miraculous game ended, and the microphones and cameras were ready for interviews, and fans everywhere were clamoring for their heroes? Our quarterback had one more huddle. He and a core group of guys were on one knee, praying and crying together. Wilson was sobbing, knowing he had botched more plays than he ever had before, and yet he was a “redeemed” man–and a grateful one. 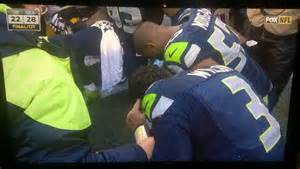 He and the other players in the huddle wanted that glorious moment to belong first and foremost to God. Apparently, he also spent the evening at church. Success is meaningless apart from God. So do not throw away your confidence; it will be richly rewarded. You need to persevere so that when you have done the will of God, you will recieve what he has promised (Hebrews 10:35). This entry was posted in Faith, Writing and tagged Marshawn Lynch, Russell Wilson, Seattle Seahawks, writing. Bookmark the permalink. I was so inspired watching that game and the aftermath. The first words out of Russell Wilson’s mouth were “God is good, all the time!” Yes, it’s “just” football, but there’s an analogy to life in general here and to writing as well. Thanks for writing about this, Sonja!